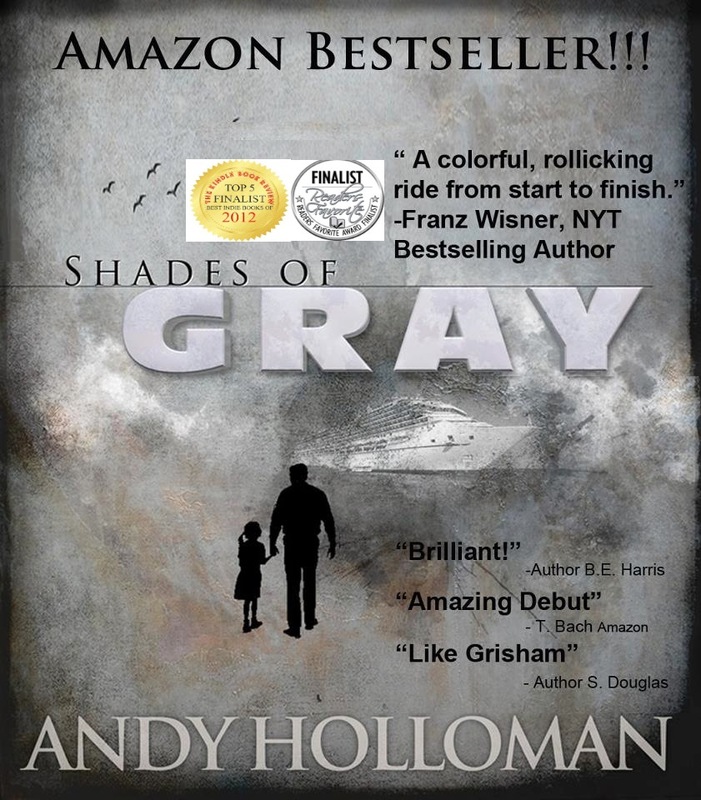 novel SHADES of GRAY (not 50shades) #Free (4/4 to 4/5) on #Amazon #Kindle yeah! I hope you’ll grab a free copy. Be sure to leave a review on Goodreads and/or Amazon if you have a few minutes. This is a very well written debut novel by Andy Holloman. The story doesn’t race you to the end, but the end will stun your senses. Based on a true story, this is the tale of one family’s love for a little girl, illegal police activity, drug smuggling, and murder. This is a story of what can happen when good people are backed into a corner. It is also the story of what can happen when people are born into a world that offers no choices. The story takes us on the journey of John Manning, devoted Father, coping with the realities of life and finding himself in the unpredictable world of drugs. Drawing on his own background, Andy delivers a thoughtful and at times heartbreaking thriller. Awesome, Andy. Sick little me almost missed it. Thanks for making this available for free on Amazon. I really enjoyed it and left you a good review! hey jason, big thanks for your msg, you made my day!! and double thanks for the reviews! !